A sauna is available (over 16 only). The indoor pool is accessible for disabled persons. There is a pool lift on the swimming pool. The restaurant "Les Vernets" is located in the sports center. Parking is available, subject to charges. Parking spaces for disabled people are available. 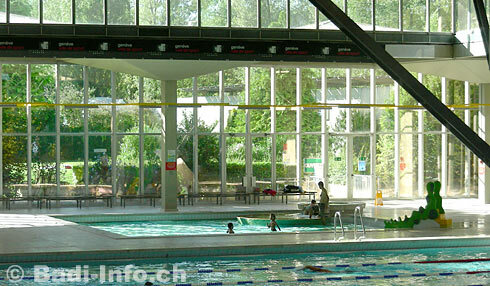 The pictures of the Piscine des Vernets Geneva are enlargeable.